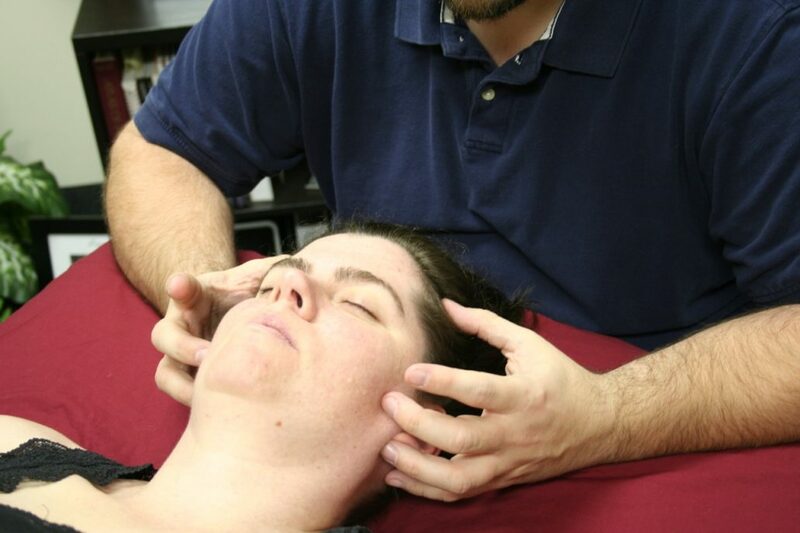 CranioSacral Therapy (CST) was pioneered and developed by osteopathic physician John E. Upledger. Upledger served as a clinical researcher and Professor of Biomechanics at Michigan State University and ran extensive scientific studies from 1975 to 1983. CST is a gentle, hands-on method of evaluating and enhancing the functioning of a physiological system called the craniosacral system – comprised of the membranes and cerebrospinal fluid that surround and protect the brain and spinal cord. A typical CranioSacral session can last anywhere from thirty to ninety minutes depending on the client and their needs. The client lies fully clothed on a massage table which is sometimes cushioned further by an air mattress or pad. No oil or lotion is used. The therapist will assess the client by gently laying their hands in key areas along the head and body, observing for where the cranial rhythm is weak or strong. After the assessment the therapist will place specific hand holds along the head and body with a gentle 5 gram amount of pressure and wait until the therapist feels a shift in the area. The session is typically very relaxing.